Luckily for the parent there are a plethora of options out there in regard to purchasing a kids guitar without breaking the bank. In this article we will be looking at five of the best kid guitar packages out there. The ¾ scale SX RST is a quality electric guitar designed for children. The RST Package is a great bargain at $99.00 for the guitar, 10 Watt practice amp, gig bag, shoulder strap, cable, and instructional DVD. The guitar features a dual cutaway body made from solid Alder. A sleek Maple neck and Rosewood fret board give this guitar stellar playability at an incredibly economical price. The guitar itself is light weight and contoured for maximum comfort. The GA-1065 Guitar Amp features 10 Watts of power pushed through a 5.5” speaker. 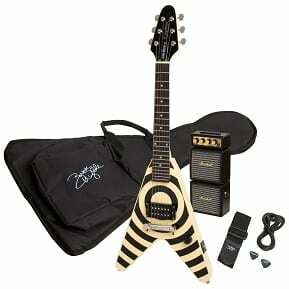 The Ibanez Mikro Electric Guitar Package comes with the Ibanez Mikro Kids Guitar, an amplifier, a tuner, and cables. The Mikro features a 22.2″ scale neck with relatively low tension, ensuring that the strings are easy to keep under control. The smaller sized body also makes it a great axe for kids. 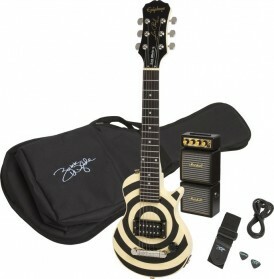 Coming in at around $180.00 this guitar package provides a quality instrument and amplifier at an exceptionally reasonable price. A recognizable name and a recognizable axe at a bargain price. The Fender Squier Mini electric guitar is a ¾ scale guitar with a Stratocaster style body featuring a bolt-on Maple neck with a Rosewood fret board. This package comes with a Fender Tone Master Mini Amplifier. The amplifier is a single watt amp about the size of a walkman and produces an incredibly satisfying sound. The Fender Squier Mini package comes with the Tone Master Mini Amplifier, gig bag, guitar picks, guitar cable, and shoulder strap. 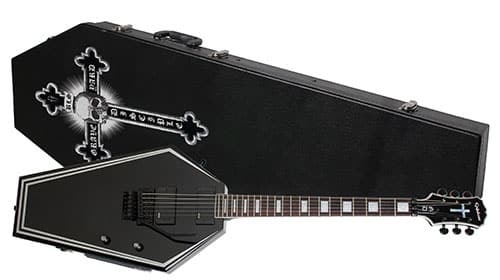 Designed by the one and only Zakk Wylde, Epiphone’s Flying VeeWee Bullseye Zakk Pakk delivers a quality instrument and everything needed to start playing right out of the box. Aimed at children and beginners alike, the Epiphone Flying VeeWee Bullseye Zakk Pakk is a very capable setup and will not cost you a fortune. Retailing at around $300.00, the package includes a Marshall MS-4ZW micro stack amplifier that is able to produce very clear tones. It is the perfect practice amp for any beginner. The Flying VeeWee Bullseye features a mahogany body with a rosewood fingerboard. Twenty-one frets and an Epiphone 700T humbucking pickup will ensure hours of rocking. The Epiphone Les Paul Pee Wee is another guitar made by Epiphone that is geared towards younger musicians. 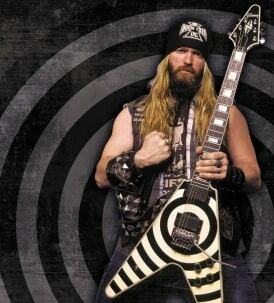 Also designed by guitarist Zakk Wylde the Les Paul Pee Wee features the classic Les Paul guitar body style and delivers that rich Les Paul tone. The Les Paul Pee Wee also comes with the Marshall MS-4ZW micro stack, a gig bag, and cords. While the quality and ease of play of the guitar can make all the difference in the learning process, in the grand scheme of things it will ultimately be up to your child to continue pursuing music in their lives, and you should never force your child into music. By introducing your child to music at a young age you allow them the ability to create a lifelong passion that can enrich their lives for years to come. 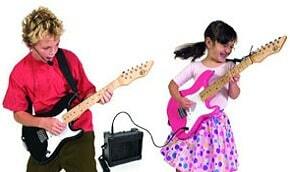 Which is your favorite kids guitar packages?